General relativity, which lies at the heart of contemporary physics, has recently become the focus of a number of lively theoretical, experimental, and computational research programs. As a result, undergraduates have become increasingly excited to learn about the subject. 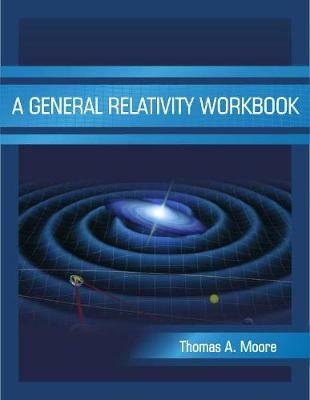 A General Relativity Workbook is a textbook intended to support a one-semester upper division undergraduate course on general relativity. Through its unique workbook-based design, it enables students to develop a solid mastery of both the physics and the supporting tensor calculus by pushing (and guiding) them to work through the implications. Each chapter, which is designed to correspond to one class session, involves a short overview of the concepts without obscuring derivations or details, followed by a series of boxes that guide students through the process of working things out for themselves. This active-learning approach enables students to develop a more secure mastery of the material than more traditional approaches. More than 350 homework problems support further learning. This book more strongly emphasizes the physics than many of its competitors, and while it provides students a full grounding in the supporting mathematics (unlike certain other competitors), it introduces the mathematics gradually and in a completely physical context. To facilitate self-study, a complimentary Online Student Manual with Hints and Answers for Selected Problems is available online.A detailed Instructor's Manual is available to adopting professors.